And Chuck the latest campaign finance reports show three of the four Republican challengers to Senator Jon Tester have raised about the same amount of money; a million bucks. But, they didn't get to that total in the same way. Chuck Johnson: No, that's right Sally. Kind of the outlier is Troy Downing from Big Sky, and he raised about $1.3 million. But of that, a million is loans from himself. So he raised about $300,000 from separate donors whereas Matt Rosendale has not made any loans to himself. He's raised about $1.08 million, and he's raised quite a bit of PAC money. The third one is Russell Fagg who's raised about $933,000. Thirty-five thousand is a loan from himself. He's raised a lot of money from Montana donors, about $625,000, I think, the most of any of these candidates. Then there's the fourth Republican Candidate Al Olszweski who's a doctor and state senator from Kalispell. He's raised about $233 , 000, of which $103,000 comes from himself. SM: It seems to me, Chuck, that Russ Fagg is gaining ground on the supposed front-runner Matt Rosendale both in terms of fund raising and in terms of getting more aggressive in his attacks on Rosendale. CJ: I think he definitely has done that, and he attacked Rosendale in a recent debate far more than he had in past debates. So I think he must see Rosendale as the one to beat from his standpoint, and he's turning his fire on Matt Rosendale. SM: And even though these challengers have raised a fair amount of money they're still way behind, of course, Senator Tester who I think has about $11 million, 11 times what they've raised, which is no surprise as an incumbent. CJ: Yeah he does. And he raised $2 million just in the past quarter. And he's got nearly $7 million in cash on hand compared to the others. Fagg actually has the most cash-on-hand of the Republicans; $633,000, which is money that they can spend between you April 1st and the end of the cycle, plus any additional money they'll raise. I would imagine Downing who only has $98,000 cash-on-hand will write himself another big check. And Rosendale has been raising money well too. So it should be very interesting. But, again, Tester is far, far ahead of all of them in the fundraising as you'd expect from an incumbent senator. SM: Meanwhile Chuck, Troy Downing continues to have to defend whether he is in fact a Montana resident. His ongoing court case on that keeps that in the headlines, and that can't be good for him. CJ: I don't think so. It's the story that doesn't go away. There ' s new news about an accountant changing his tax forms to declare him a Montana resident. Seems to me it just points out that he wasn't when he filed his taxes, and now is having the accountant changed them, in part to fight these fish and game charges that he bought hunting licenses as an in-state resident when he was, at least according to FWP an out of state resident. I think it's an issue that haunts him. Maybe you can find a way to turn it around but I don't think he has so far. SM: Rob, Troy Downing tweeted this week that he's bringing disgraced General Michael Flynn to Montana to campaign for him. Is that a wise move? Rob Saldin: I don't know Sally, it caught me by surprise. I would think that Michael Flynn is a figure that most people would want to stay as far away from as possible. But obviously Downing thinks in the context of the Republican primary at least, that to the extent Flynn is tightly associated with the Trump administration, that's a good thing. SM: The administration that fired him we should point out. Well right. Although Trump is also kind of sticking up for him publicly now. It goes back and forth, but the latest thing I saw, he was back saying nice things about him and what a shame it was that he was disgraced and his life was ruined and this kind of thing. So for the moment at least Flynn seems to be in the good graces of Trump and Downing very clearly wants to present himself as a Trump ally. SM: Rob, the conservative Americans for Prosperity has launched a new ad campaign targeting Senator Tester. AFP Ad: "Montana families struggle to make ends meet. Our biggest worry: rising health care costs. Senator Jon Tester knows that and he knows Obamacare isn't working. He even said he regrets not making it better. So did Tester vote to fix it? No he voted again and again to keep the mess Obamacare created. He voted to keep Obamacare's devastating tax penalty. Putting partisan politics ahead of our care. Tell Jon Tester support better health care at lower costs.". SM: This is an effective ad Rob. It hits a theme that everyone's worried about, health care and it sort of smears Senator Tester has been someone who doesn't care enough about that. RS: Yeah, Obama and Obamacare, a little bit of a flashback to Tester's 2012 campaign where we saw a lot of these kinds of ads too. You know on this one I'm fond of one of the shots in particular, it presents Tester as the Obama whisperer. As though Tester was standing behind Obama pulling the strings calling the shots. But yeah, I think you're right, it certainly is effective on its own terms and what it's trying to do and that is to link Tester to unpopular national Democratic leaders and unpopular Democratic policies. I think we're going to be seeing a lot of this over the next six months. On the substance, it certainly is true that Tester voted for the Affordable Care Act and has been opposed to Republican efforts to repeal it. But it's also the case, I think, that he hasn't been especially enthusiastic about the law, particularly recently. He has said repeatedly that the law needs to be fixed. It's just that the fixes he has in mind aren't the same ones as those supported by this group Americans for Prosperity which funded the ad. SM: In a Politico profile Tester says this about his tough race. "I don't think they can beat who I am." And who he is, an authentic Montana farmer is perhaps one of his greatest strengths. RS: Yeah for sure, it's not the party that he's affiliated with. He's going to have to run as his own person. And you know, I think, one of the things in that Politico piece kind of set up was that he is one of the most endangered Democrats in Senate. And that's certainly true in one sense. You know, Trump won the state by 20 points but in another way I think things have really broken in a way it really couldn't have gone better for Tester. The two most formidable challengers Zinke and Attorney General Fox both took a pass on the race. He does have the good fortune to be running in an election cycle where it seems like Democrats and progressives are very enthusiastic. So, I think Tester is actually at the end of the day in a pretty good place even though he is appearing on a lot of these lists and getting written up in a lot of places as one of the endangered senators. SM: In the House race Chuck, Democrat Lynda Moss of Billings dropped out this week and the latest fundraising totals explain why. CJ: She only raised $40,000 the past quarter, and has raised $107,000 for the campaign. She's put in I think $8,000 of her own money as a loan and clearly was not having very much success fundraising. RS: I guess the one thing that occurs to me: I think this really helps John Heenan because Moss and are both from Billings. Obviously Lynda Moss's campaign never caught on statewide but she is very well known in Billings, very well regarded in Billings, and I suspect she would have done pretty well there. But now Heenan is the only hometown candidate so that should give him a bump in Yellowstone County which is our biggest county. CJ: And her name will still be on the ballot as I understand it, and she intends to make an endorsement in a week or so in a debate in Helena and tell who she is backing in the race now that she's out of it. SM: Grant Kier, Chuck, seems to be making up ground on John Heenan in terms of fund raising, and to be gathering some momentum. CJ: Yes he's outraised Keenan the last two quarters f you exclude personal money that Hanan's put in. He has about $432,000 left to spend cash-on-hand to Heenan's $385,000; although Heenan has already loaned his campaign $250,000 and probably capable of doing that again. But I do think Kier is showing some momentum on the fundraising side. SM: And he has spent part of that money on his first TV ad. Kier TV ad: Unspoiled. Wild. Unique. Proud. That's Montana. It's our responsibility to protect it for future generations. I'm Grant Kier, and as director of a leading conservation group we did just that. But Trump and Gianforte's dangerous agenda puts everything at risk. That's why in Congress I'll fight Trump on climate change, oppose his healthcare plan, and protect women's health care choices. I approve this message because I won't let Washington harm Montana's way of life.". SM: This is a pretty progressive message, Chuck. He ' s going all out for conservation, for climate change, for women's issues, pro-choice etc. CJ: Yeah and it's kind of surprising Sally. I think Keir has been running as kind of a mushy moderate, at least in the Democratic candidates debates. He hasn't been as progressive as Kathleen Williams on the gun issue, as progressive as Heenan on health care, but I think it's a pretty good ad and I think it will help him. SM: Rob, a group connected to Vice-President Mike Pence, the American Economic Freedom Alliance, has sponsored an ad praising Interior Secretary Ryan Zinke's support of national parks. Let's listen to that. AEFP ad: "From sea to shining sea, they're America's natural treasures. But for too long, Washington has neglected our national parks. Now Donald Trump's interior secretary Ryan Zinki wants to change that. His plan would end the maintenance backlog that's harming our parks. Call your senators. Tell them to support Ryan Zinke's plan to give our national treasures the resources they deserve. The American Economic Freedom Alliance is responsible for the content of this advertising.". SM: There's lots of beautiful park video in this ad including Glacier. But what's most curious, Rob is this ad only aired in the Washington D.C. area. RS: I'm not sure that that's the most curious thing. There would be some other things in contention. For instance, it has all the appearance of a campaign ad. Yet Zinke is not running for anything. Another possibility, my personal favorite, is the closing exhortation to call your senators. But as you say, this is running in Washington D.C., an area that doesn't have its own senators. It's a bizarre ad. You know, one of the other notable things about I guess is that Zinke has been getting a lot of heat from conservationists, some of whom had hoped that he was the best possible kind of Republican you could have in that position. And now over the course of the last year or so he's been a disappointment. This ad is maybe pushing back a little bit on that perception, maybe, but it's a bit of a head-scratcher for sure. SM: And as we've discussed before, Zinke's name has come up as a potential future presidential contender, so maybe this ad, we can only speculate, has something to do with that. Speaking of presidential ambitions, Chuck, as we mentioned last week Governor Steve Bullock was recently in Iowa stumping for a Democrat there. But he also gave his advice on what he thinks Democrats need to do to win. Steve Bullock: "Twenty percent of the folks that voted for me also voted for Donald Trump. Looking back in 2016 a lot of the strategy was we need to find all of our Democrats and to drag them to the polls. Not just actually talking and showing up at places. Even today the question is: what's going to be more important going forward, turning out our base or persuading Trump voters? My question is why the hell can't we do both?". SM: Chuck, that message was well received by his Iowa Democratic audience. CJ: Yes, he got a very good reception from the audience there and also a good reception when he talked about his efforts to lead Medicaid expansion in Montana. And I've covered Bullock for a number of years both as governor and attorney general, I don't think I've ever seen him better. I thought he was at ease with the audience, which sometimes he isn't. I thought he did a nice job there. SM: The pace of the campaign season is picking up. We're going to have more debates, more ads, and will try to stay on top of it all. SM: You've been listening to the "Campaign Beat" our weekly political analysis program. I'm Sally Mauk and I've been speaking with University of Montana Political Science Professor Rob Saldin and veteran Capitol Reporter Chuck Johnson. And guys, enjoy the beautiful spring weekend and I'll talk to him next week. The band Pearl Jam is embarking on a brief, four city North American tour that includes a show in Missoula. Part of the proceeds from the concert will go to a get-out-the-vote effort in Montana. 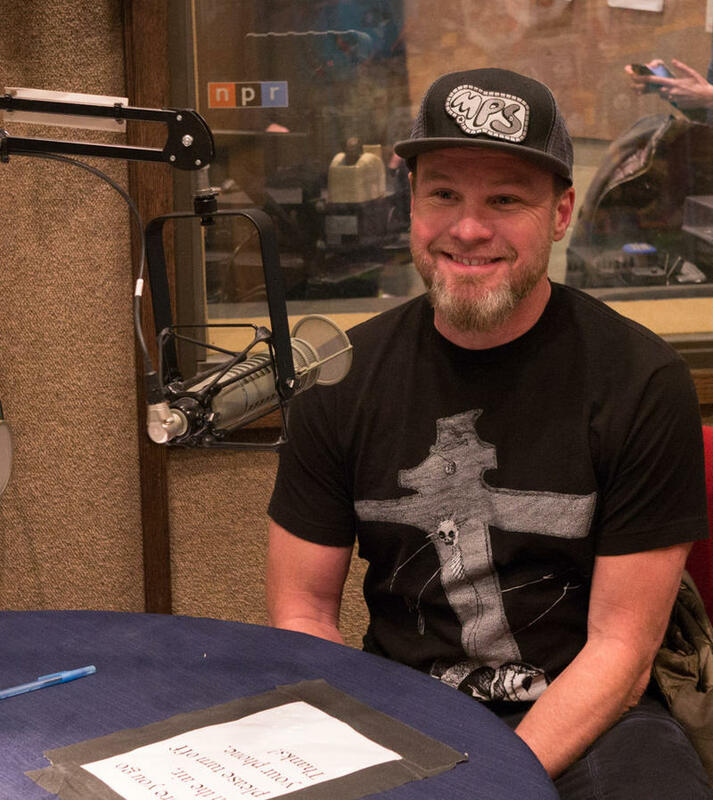 The band’s founding member, bassist, Montana native and part-time Missoula resident Jeff Ament sat down in our studios with Sally Mauk to talk about that – and about music and politics. Flathead County Republicans hosted their annual Lincoln Reagan Brunch at the county fairgrounds on Sunday. Amid old-timey camp songs, against a backdrop of a swimming pool-sized American flag, half of the men hoping to win the Republican nomination to challenge Senator Jon Tester in the upcoming midterm primaries sat down for a candidate forum. Screen capture from Free and Fair Montana's Facebook video. 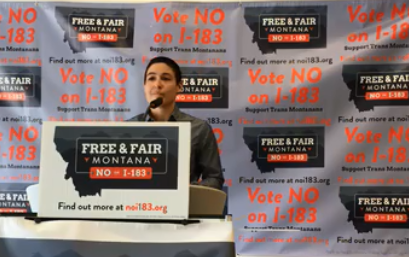 A group called Free and Fair Montana is urging voters to oppose the so-called “bathroom ballot” initiative that would require people to use public restrooms and locker rooms that align with the gender on their birth certificate rather than the gender by which they live and identify. 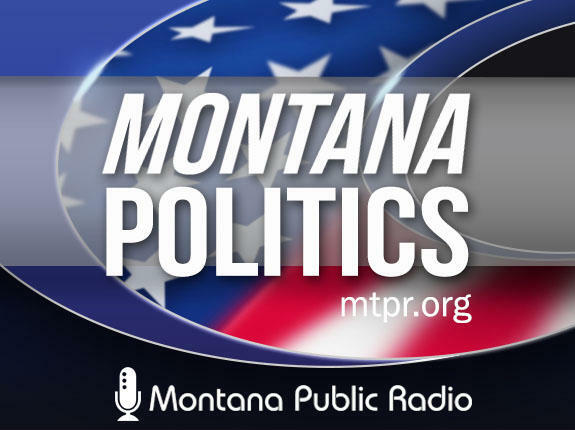 Democratic candidates are divided on health care; a new no-frills campaign ad; some candidates soften their stance on gun control; money can buy political happiness; and remembering former Montana Senator and U.S. Rep. "Doc" Melcher. 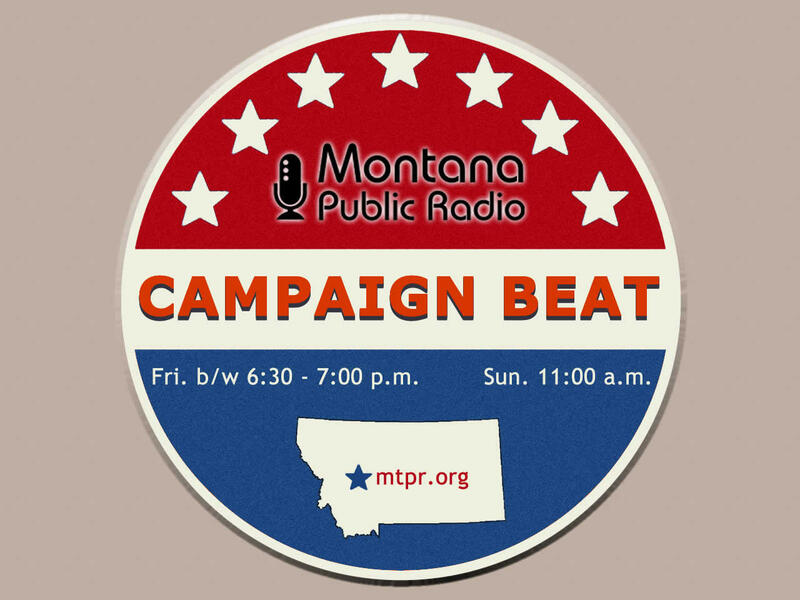 Learn more on this episode of "Campaign Beat," with Sally Mauk, Chuck Johnson and Rob Saldin.